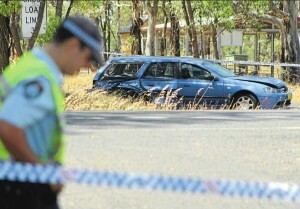 The fatality was the second in the region within two days last week. A man died when the station wagon in which he was travelling hit a tree near Doughertys Junction Road on Wednesday at around 1 .45pm, The driver walked to a nearby property and raised the alarm, but his passenger was found dead at the scene. The driver was airlifted to hospital for treatment and underwent mandatory blood and urine tests. Police have not officially released the names of the victims in the two incidents. Investigations into both incidents are continuing. “The holiday road toll is quite high already for this time of the year,” Mudgee Local Area Command Detective Inspector Cameron Whiteside said. “But even one is too many.” Anyone with information about these accidents, or the events leading up to them, should contact Mudgee Police on 6372 8599. The holiday road toll remained at nine yesterday The road toll included five deaths in four separate accidents on NSW roads on Boxing Day. Double demerit points will be in force until 11.59pm tomorrow (January 1) for speeding, seatbelt and helmet offences. Mudgee Rescue Squad personal responded to both scenes. The Mudgee Guardian:Monday December 31 incorrectly reported that the 50-year old man killed near Ulan Road on December 27 had stopped to help another motorist. The man was pulled well off the side of the road an attempt to manage fatigue. The Mudgee Guardian apologies for this error. This entry was posted in Rescues by mudvra. Bookmark the permalink.